Hurricane Maria killed more than 4,600 people in Puerto Rico, 70 times the official toll, according to estimates in a Harvard University study. A third of deaths after September's hurricane were due to interruptions in medical care caused by power cuts and broken road links, researchers say. The Puerto Rico government said it "always expected the number to be higher than what was previously reported". But experts say an accurate count was complicated by the widespread devastation wreaked by the storm. Carlos Mercader from Puerto Rico's Federal Affairs Administration said he welcomed the Harvard survey. The Harvard researchers said interviews conducted in Puerto Rico suggested a 60% increase in mortality in the three months after the storm. They contacted more than 3,000 randomly selected households between January and March this year and asked about displacement, infrastructure loss and causes of death. 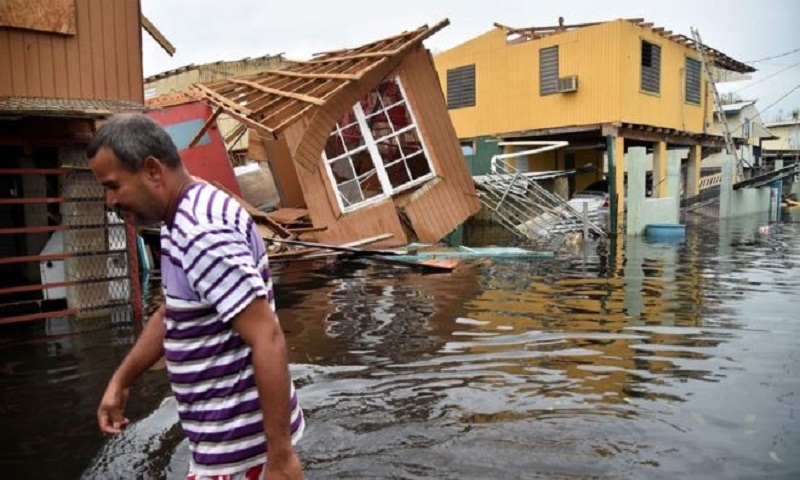 They then compared their results with the official mortality rates for the same period in 2016, more than a year before the hurricane struck the island. The researchers said that interrupted medical care was the "primary cause of sustained high mortality rates in the months after the hurricane". Disruption to health care was a "growing contributor to both morbidity and mortality" in natural disasters, they said, because growing numbers of patients had chronic diseases and used sophisticated equipment that relied on electricity. On Twitter, several users noted that the death toll exceeds the nearly 3,000 Americans that were killed during the 9/11 attacks.